According to the findings of a survey on the consumption behaviors of Chinese wine consumers,natural cork stopper is the "top-of-mind" and most preferred closure in China. The survey was commissioned by the Portuguese Cork Association (APCOR) and carried out by CTR Market Research. Aiming at shedding light on the trends ofperceptions and consumption behaviors on wine and closure, this survey interviewed 2,152 respondents aged between 18 and 64 who reside in Beijing, Shanghai, Guangzhou and Chengduonline in July 2017. This is the continuation of a similar survey which was conducted in 2014. The findings show natural cork stopper is present in every parameter including consumers' awareness, their closure preference when buying wines as well as theperceived benefits to wine quality. The performance of cork stopper in the 2017 survey not just edges out other closure types including screw cap and plastic stopper with big margins, but also shows improvements against its 2014 performance which were already remarkable. Commenting on the survey findings, Carlos de Jesus, Operational Director of InterCork program of APCOR, said: "We are delighted to see Chinese wine consumers' awareness, positive association and preference towards natural cork stopper go from strength to strength. As China is now one of the largest as well as the fastest growing markets of wine worldwide, such overwhelming consumer sentiments certainly will send a clear message to wine makers, importers, distributors, retailers and HORECA professionals." Conducted in May 2017, another market study researched the list of top 100 best-selling wines in terms of 2016 sales revenues in hypermarket chains provided by the global performance management company Nielsen. It was found that 95 out of these 100 wines used cork stopper as closure. More importantly, the average price (RMB) per litre of wines with cork closure is RMB 34.16 higher than that of those using alternative closures. ● 96.8% of respondents believenaturalcork stopper is beneficial to wine quality and 95.6% of respondents believe cork closure is an effective seal. ● The awareness towards natural cork stopper is 94.3% (89.3% in 2014). ● 85.3% of respondents said they would prefer wines with natural cork as closure when purchasing wines (84.0% in 2014). CTR Market Research is a leading market information and insight provider in China. A joint venture company between CITVC and Kantar Group, one of the world's largest market research, insight and consultancy networks, the company is committed to be the preferred research partner and market leader in delivering value-added marketing information and insights in China, facilitating its clients to make optimal business decisions. Represents and promotes the Portuguese Cork Industry. It is an employers' association, of national scope, founded in 1956 and based in the north of Portugal. APCOR's mission is to promote and develop cork as a raw material of excellence, as well as all cork-based products. Cork stoppers are the most famous product of the cork industry, with more than 12 billion bottles of wine closed every year with cork. 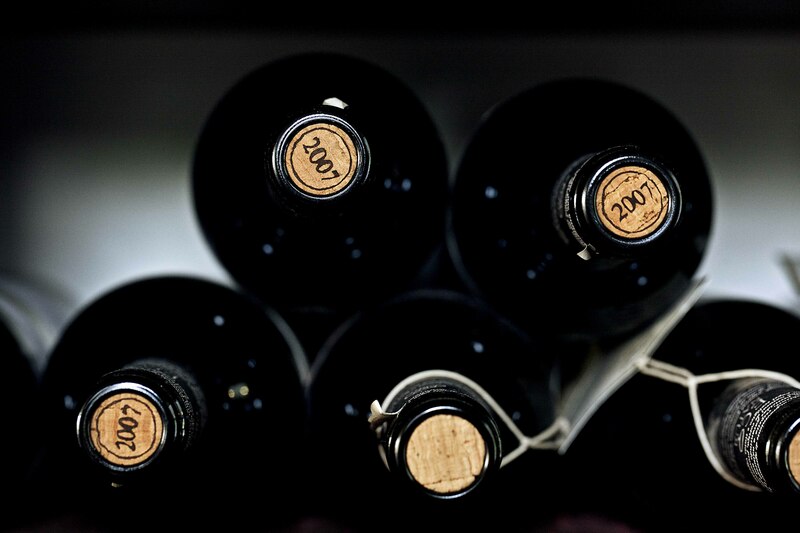 The cork stopper has been the closure par excellence of wine for many years due to its unique properties – helping to best preserve the natural characteristics of wine as well as offering a quality, premium wine drinking experience. The environmental benefits of cork stoppers, which are natural, re-usable and recyclable, have also contributed to it being the closure of choice for over 70% of wine producers.